Well, it’s Wednesday, December 19, 2018, and less than a week for the big Coynezaa celebration. It’s National Hard Candy Day. Wikipedia says it’s also Mitch Marner Day in Canada, but I can’t find any reason that Marner should be celebrated today (the hockey player was born on on May 5), nor whether there even really is a real Mitch Marner Day. On to history. On this day in 1606, the three ships Susan Constant, Godspeed, and Discovery left England, carrying the settlers who founded the first of America’s thirteen colonies at Jamestown, Virginia. On this day in 1777, George Washington and his Continental Army took up winter quarters at Valley Forge Pennsylvania. About 2,000 soldiers died that winter of disease, cold, and malnutrition. On December 19, 1924, the very last Rolls-Royce Silver Ghost was sold in London, England. Look at this lovely car! On that same day, the German serial killer Fritz Haarmann was sentenced to death for a murdering at least 24 men and boys in a gruesome manner. He was beheaded in April of 1925. On December 19, 1932, the BBC World Service began broadcasting as the “BBC Empire Service.” Exactly 40 years later, the last manned flight to the Moon, the Apollo 17, returned its three astronauts safely to Earth. On this day in 1998, Bill Clinton was impeached by the U.S. House of Representatives. He was the second President to be impeached; do you know the other? 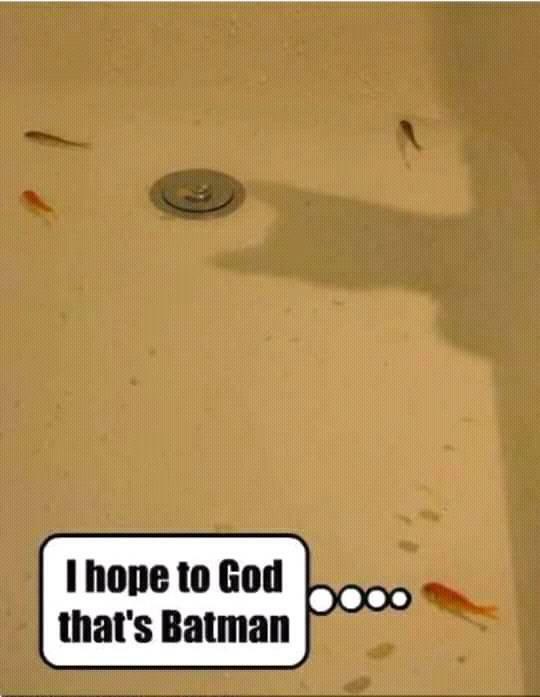 And maybe there will be a third (fingers crossed). On December 19. 2001, the world’s highest recorded barometric pressure—1085.6 hPa (32.06 in Hg—was recorded at Tosontsengel, Khövsgöl, Mongolia. Finally, this is a day that will live in infamy, for exactly two years ago the Electoral College of the U.S. voted, confirming Donald Trump as the 45th President-Elect. OY! Notables born on this day include Fritz Reiner (1888), Jean Genet (1910), Édith Piaf (1915), Cicely Tyson (1924), Phil Ochs (1940), Richard Leakey (1944), Ayssa Milano (1972), and Ronan Farrow (1987). Those who bought the farm on this day include Emily Brontë (1848), Robert Andrews Millikan (1953; Nobel Laureate), and Robert Bork (2012). 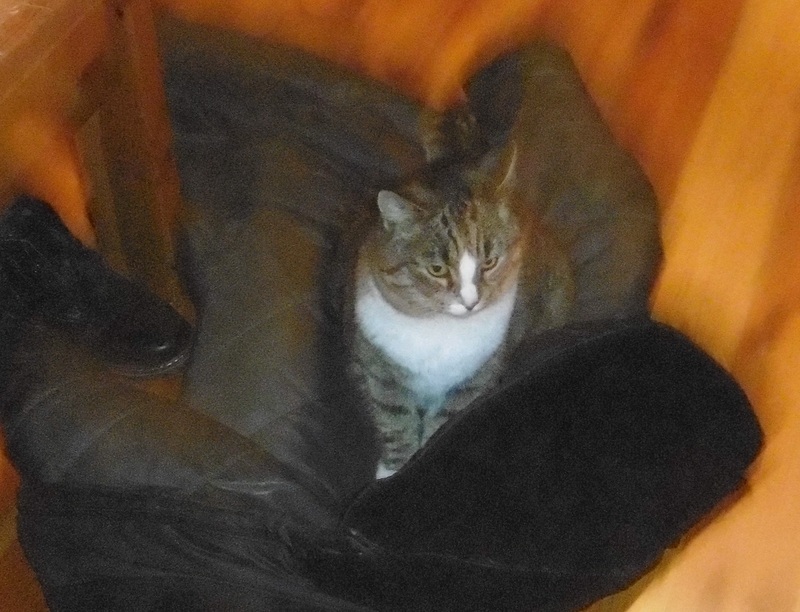 A: Hili, this coat was lying on the bench under the mirror. Hili: Yes, but it escaped and now I’m guarding it so it won’t go any farther. Ja: Hili, ten płaszcz leżał pod lustrem! Hili: Tak, ale uciekł i teraz go pilnuję, żeby nie poszedł gdzieś dalej. Ants encounter what is probably a sugar solution. Good to the last drop! A tweet from Steve Stewart-Williams (not upsetting!). Dinosaur wins! Tweets from Matthew: I’m not sure if that’s a real skull, but I bet it keeps predators away! Another bizarre interspecies interaction. I encountered my first Eurasian hoopoe (it has the wonderful Latin binomial Upupd epops) decades ago on the grounds of the Taj Mahal. I was astounded: I didn’t know this strange-looking bird existed. This entry was written by whyevolutionistrue and posted on December 19, 2018 at 7:00 am and filed under Hili Dialogue. Bookmark the permalink. Follow any comments here with the RSS feed for this post. Both comments and trackbacks are currently closed. I enjoyed the movie Hard Candy as much as anyone, but a national day for it? To be pedagogically pedantic, he was not “confirmed”, he was ELECTED then. Double OY. Any song by Piaf is great. Andrew Johnson would be the other impeached president and just missed going out the door by one vote. If just being a jerk could get you impeached this guy fit the bill. Not as perfectly as the current president but still a jerk. I recall watching articles of impeachment against Richard Nixon get voted out of the “Rodino committee” on tv while I was home from college in the summer of ’74. That crooked SOB Nixon then up and resigned before the full House of Representatives could vote to impeach him. Yeah, Nixon was a crook but unlike Trump, not a stupid crook. It will be interesting how Trump acts as the heat turns up. If he was smart (he is not) he would start making a deal to depart now while he still has some leverage. Could get very messy. Many of us forget, Agnew went voluntarily as well, just prior to Nixon. Otherwise we would have had two crooks in a row as president. Why would Trump start making a deal now? Is there any evidence that Congress is gearing up to impeach him? Also, I disagree with your characterisation Trump as stupid in the narrow field of “getting away with illegal stuff”. The congress may or may not attempt impeachment. I did not specifically say they would but some in congress are talking about it. The evidence of why he needs to go is pretty deep and I have neither the time or need to list it all here. As to your definition of stupid verses mine, that is pretty subjective. There are currently 15 to 20 different areas of investigation into Trump. His corrupt charity foundation has been shut down with the remaining money to be handled by the state. He is already a co-conspirator who would be under arrest if not sitting in the current job. Evidence of stupid you say?? Of course it is. The evidence is that he is the worst president since Nixon and I think Nixon might have been a better president despite the way in which his term ended. However, for Trump to start trying to make a deal to depart now, there would have to be evidence of criminality on his part. Personally, I do not doubt that Trump is a crook, but no evidence that isn’t circumstantial has been produced so far. For example, New Your State alleges the law was broken with respect to his charity. I’d be very surprised if Trump was not at least aware of any illegal activity, but the evidence that he was involved has not been published yet and maybe he is clever enough at plausible deniability that it doesn’t exist. Everybody seems extremely confident that Mueller has damning evidence against him for various crimes, but we haven’t seen it yet and it would not surprise me at all if Mueller had nothing specific on Trump himself. That robin’s nest skull? Northern pike, Esox lucius. It’s real . . . and it’s spectacular. But how did that pile head get there? Humans? If those little robins were not deterred by the dead pike skull, why would would-be predators be? [At any rate, those teeth show what a formidable ambush predator the pike is. I’ve even heard unconfirmed stories they take adult swans. They are described as reaching about a meter, but some fishermen assured me they can reach 1.5 to 2 m (if the latter is true -which I doubt-, it is as bad as a croc). 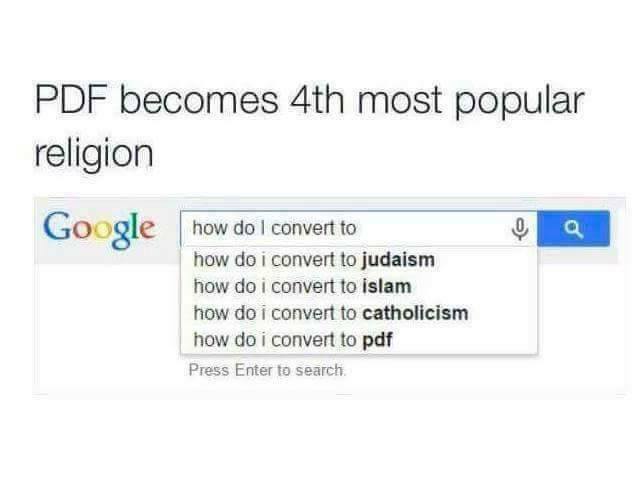 I was an early convert to PDF. But… can it really be considered a religion as it provides tangible benefits? Also, it is now a fully documented open format. There are no mysteries, divine or otherwise, about how it works. Of course, any Leafs fan will tell you that every game is a MM special–just watch him with the puck! Impeached convicted by the senate and in jail by this day two years from now. Prediction of the day. President Pence is in our future. I predict Trump will not be impeached unless he gets a second term. Don’t forget that the Senate is still controlled by the GOP and impeachment would be damaging to the Dems, especially if he is acquitted. The dems would be foolish to impeach him until they had done a head count of votes in the senate and knew there were enough votes to convict. That is what they did with Nixon. The demecrats knew Goldwater and enough other republicans would vote with them and they had the votes to convict. Goldwater and a group of republican senators came to the White House and told Nixon the votes to keep him in office were not there. He resigned the next day. Best to impeach so that the discussion of impeachment or the trial itself is just underway at election time 2020. Yes, I think Congress is much happier with a wounded, ignorant (and possibly demented) lame duck Mr Trump than with an undoubtedly more efficient Mr Pence. I guess that at present the greatest problem with Mr Trump is his nominations (EPA, Interior, Judges)where the Congress cannot really nforce his hand. On the other hand, anything is possible with Mr Trump, even nominating Mr Garland (if Judge RBG or another joins The Happy Hunting Grounds) I would not put beyond him. Having seen the (incredibly tiny) full-scale mock-ups of the Jamestown ships, it is amazing that anyone survived the trip, particularly in the dead of winter! Maybe life in jolly old England at the time made the risk seem worthwhile. They all thought they were going to discover gold and become rich beyond their dreams. Robert A. Millikan* while at the U. Chicago investigated the charge and mass of the electron in his famous oil-drop experiment. For this work he received the Nobel Prize in physics. However, Millikan’s 1911 paper first reporting the find used results taken from the PhD work of his student Harvey Fletcher. Fletcher, because of a secret agreement with his boss to divide up Fletcher’s thesis results, was not given credit as co-author (or author) of the discovery. In subsequent work designed to obtain better estimates of the electron’s mass and charge, Millikan cherry picked the new oil-drop observations to make the outcomes seem more uniform than they actually were. He also vowed in the text of his paper, untruthfully so, that there had been no selection of data. By deleting the outlier observations, Millikan was able to throw doubt on alternative view, without actually having tested it, that the electrical charges of electrons varied. *Please correct me where I have been unfair to Millikan. Today’s SMBC comic should resonate with PCCE and his readers. I’ve seen the white rhino picture before and it always brings tears to my eyes and depresses me about the future. 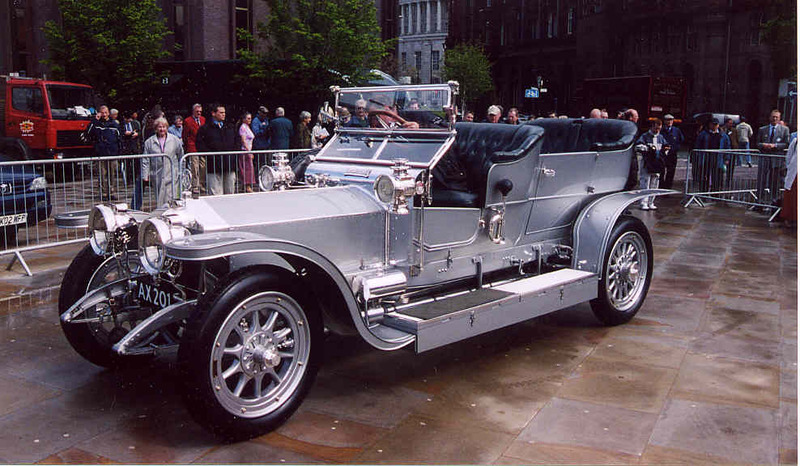 Wiki says this about the Silver Ghost Rolls: It is considered the most valuable car in the world; in 2005 its insured value was placed at US$35 million. Hilarious materials today! Except the Northern white rhino :-(. A technical correction: the hoopoo’s genus name is Upupa. It’s also Professor Longhair‘s 100th birthday.